Heroes of Fortunia – Polska Lemon Ltd. The gameplay is split into two game modes: Edit Mode, which is where you can edit your own dungeon, and Attack Mode, which is where you attack the dungeon of another player. An early version of Edit Mode. Engage: The minion does something when it starts to engage in combat. Enrage: The minion does something once it’s damaged below 50% health. On Death: The minion does something once its death animation has finished playing. In addition to that, every minion and trap also has a defense rating, which dictates the size of their placement box. Your dungeon has a maximum limit for defense rating, which you cannot exceed. Furthermore, some minions & traps also have conditions based on defense rating. For example, a minion may regularly buff other nearby minions, but only if they have a defense rating of 5 or less. An early version of Attack Mode. 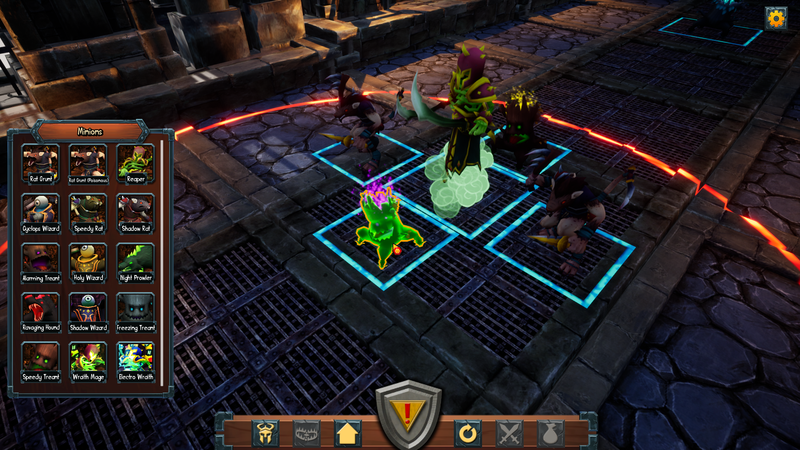 In Attack Mode, you can choose one out of three heroes each time before you start your attack. 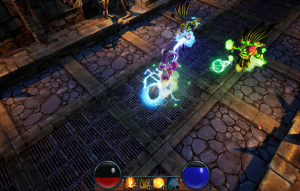 You can play in either ranked mode to compete with other top dungeon creators, or casual mode for whenever you just want to relax and clear some dungeons without pressure. Either way, there’s guaranteed to be a reward if you win! The Knight: A sturdy melee hero, who can take a lot of damage and heal efficiently. The Archer: A squishy ranged hero, who excels at dealing large amounts of damage. The Wizard: A tricky ranged hero, who excels at slowing minions down & dealing large amounts of area damage. Watch them Scream and Suffer! An early version of the Replay UI. 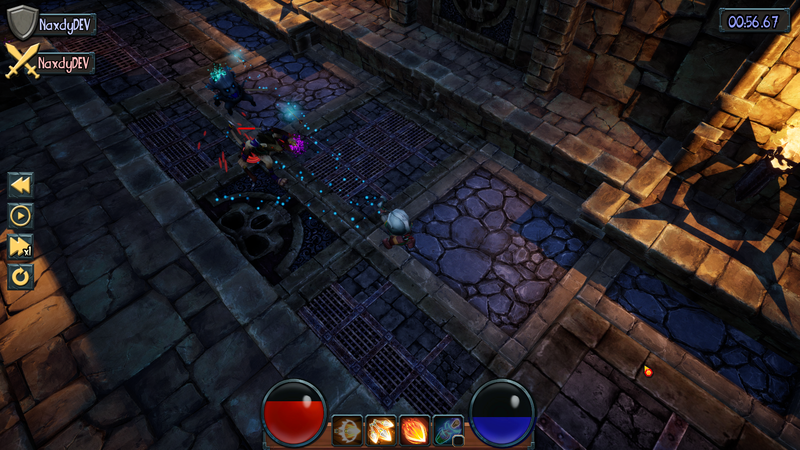 Whenever another player attacks your dungeon, you will get to view a replay of their attack as it actually happened. Even better, if you are online while they are attacking you, you get to tune in to a live feed of their attack, so you can watch them battling against your dungeon’s defenses right then and there! Watch them get beaten by your most powerful minions, or pat yourself on the back if a complicated trap setup leaves your attacker confused. And if it doesn’t work out the way you planned, you know exactly where you need to tweak your dungeon! It’s a win-win. Whilst watching a replay, you get to slow it down or speed it up as you see fit, so you never miss an important moment. And let’s be honest, you get to skip the boring stuff as well! Replays of your attacks against others are also saved, and you can share both kinds with friends who also play the game, so you can either show off your mad dungeon building skills, or your crazy attacking strategies. Heroes of Fortunia is currently in Early Access, and is expected to fully release in Q4 2019. Play now and help shape the game’s future!